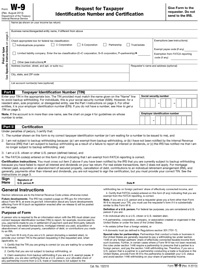 W-9 form is required per the IRS. 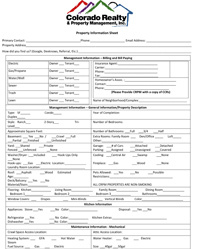 Please complete as you would like your proceeds reflected in your taxes. 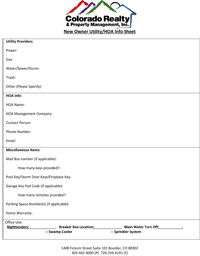 Electronic Owner Payments (ACH). Owners get paid securely and quickly via convenient electronic payment. Owner funds are deposited directly into your back account. There is no additional cost for ACH and it is the quickest way for Owner payment to be delivered. 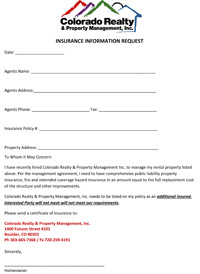 Colorado Realty and Property Management, Inc. requires that the Owner provide proof of Insurance. Owner must have Comprehensive Public Liability Proepty Insurance, and fire and extended coverage hazard insurance in an ament equal to the full replacement cost of the structure and other improvements. Owner must also ensure Company is listed on policy as additional insured. 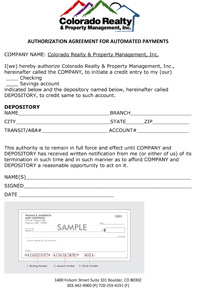 Important additional information Colorado Realty and Property Management, Inc. will need to complete your properties online setup. Full information to be filled out on the property. This information is important for our file set up and continued management.